The luxurious Barcelo Corralejo Bay Hotel is located in the popular tourist resort of Corralejo on the island paradise of Fuerteventura. Resting just 50 m from the beach and 2 km from Las Dunas, this award-winning 4 Star retreat is a fantastic spot especially for couples and adults with sparkling swimming pools, fabulous dining, plenty of leisure activities and water sports, excellent service, and warm Canarian hospitality. Guest can visit Corralejo with its sports, bars, and terrace cafes, discotheques and night clubs, excellent shopping centres with a variety of shops, areas for strolling, marina, and passenger boats with regular departures to Lanzarote and the Island of Lobos. 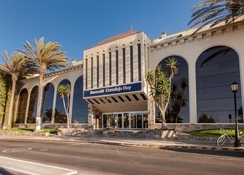 Fuerteventura Airport is 38 km from the hotel. Local Tips: The hotel is in a perfect position for visits to Baku Waterpark next door as well as Grandes Playas and the Corralejo Natural Dunes Park. 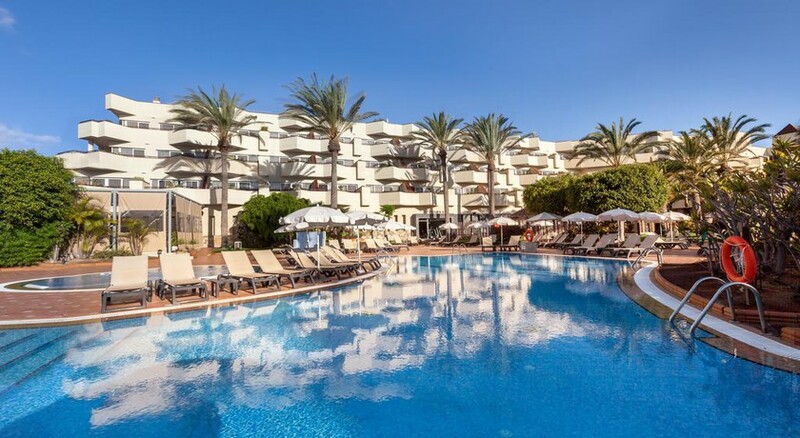 Barcelo Corralejo Bay Hotel is exclusive for Adults Only! 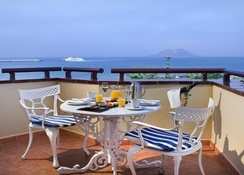 Food, drink and entertainment: Bed and breakfast with options for Half Board and All Inclusive. 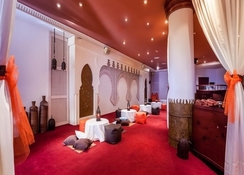 The Barcelo Corralejo Bay Hotel presents the popular Tindaya buffet restaurant with show cooking with indoor and terrace seating, the elegant Lobby Bar with live music, and the Adama Room for evening shows. Early breakfast and late healthy breakfast, a la carte lunch, tea and healthy tea services and drinks are all served at the pool bar. Gentlemen are requested to wear long trousers at dinner. 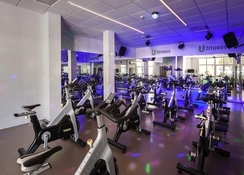 Sports, games and activities: Outdoor swimming pool, Jacuzzi, sun loungers and parasols, sun terrace, daytime entertainment, sauna, SPA, Wellness Centre, solarium, gym, tennis, fitness, aerobics, aqua gym, reading room, gaming room,. Water sports including diving, surfing and windsurfing can all be enjoyed nearby and there are two golf courses 2 km away. Additional: 24 hour reception, currency exchange, safe, room service, luggage storage, laundry service, Wi-Fi Internet access (fees apply), Cyber Corner, on site mini market, doctor, free bus service to Grandes Playas (limited places), airport transfer and car hire service (with charge), VIP pack, facilities for people with impaired mobility, hairdresser, shop, meeting rooms, rooms and terraces for weddings, banquet and special events, private car park. The Barcelo Corralejo Bay Hotel features light and spacious guestrooms with typically Mediterranean decor, with a double bed or 2 single beds, fully-fitted bathroom with two separate washbasins, bath, telephone, hair dryer and magnifying mirror, reading area, large writing desk, 32” Satellite LCD TV, channel exclusively for hotel and local information, ambient music, air conditioning, telephone, Internet connection, safe and room service. Optional extras are iron and ironing board, tea and coffee making facilities, and a la carte mini bar. we found the hotel to be very good, room was always clean and tidy,staff were always courteous and friendly, the food when we were there was very good from breakfast to evening meal, the cool food was cold and the hot food was always very hot, and evening there was always a good quality of entertainment.